We are very lucky to see hedgehogs in the garden every night. We have seen 4 on some occasions taking advantage of the food we put out for them. 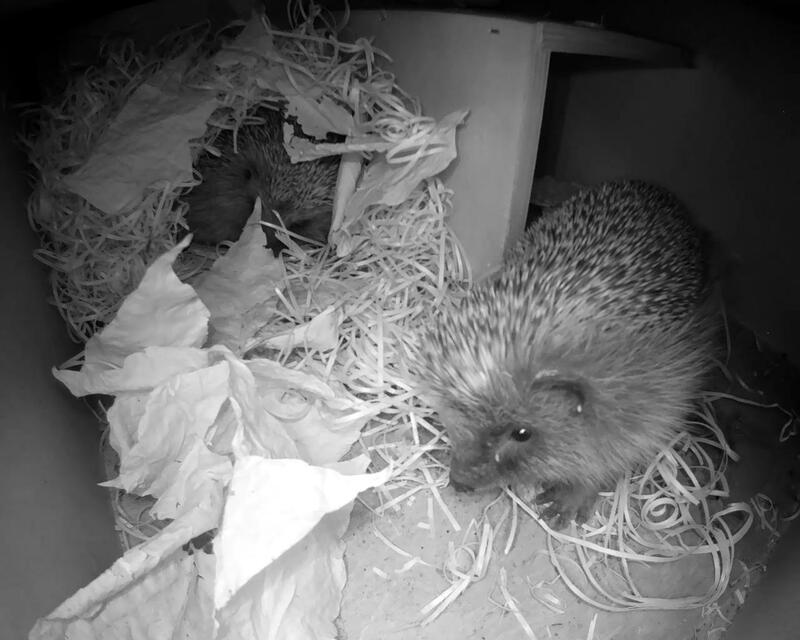 Last year we purchased a Hedgehog box and installed it in a quiet spot in the garden and added a camera to keep an eye on any potential visitors. This year has seen many visits to the box already and one hedgehog in particular often spends a few hours each night sleeping in the box. 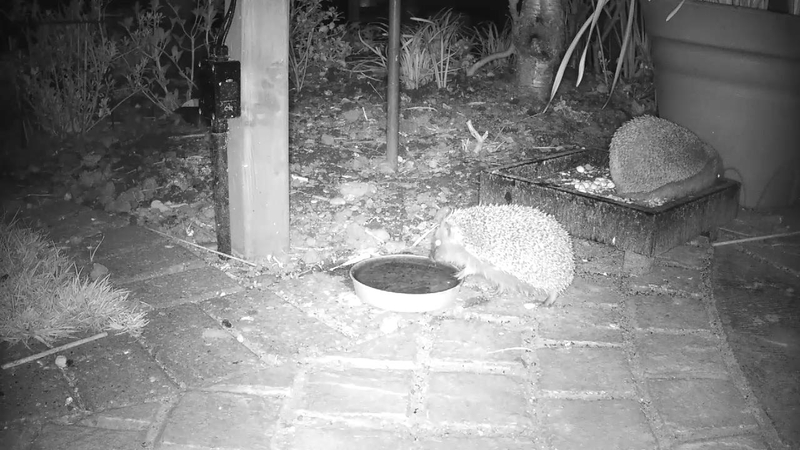 If you keep an eye on the Garden camera and the Hedgehog Box camera from around 9pm you will probably catch some views of our visiting hedgehog family!